Home to a large number of military installations, including Whidbey Island NAS, Joint Base Lewis McChord, Everett Naval Station, and Coast Guard Seattle among others, Seattle offers an array of activities to suit any interest. Whether you prefer hiking, water activities, snow sports, the arts, cultural events, touring wineries and breweries, or keeping your kiddos entertained, you can find it all here. If your military family received PCS orders to relocate to Seattle, then you’ll find that in the greater Seattle area you can move quickly from a big city lifestyle to country living in a matter of minutes, offering a vast option of living opportunities. If you’re traveling to Seattle for your house hunting tour, then take advantage of the opportunity to explore several different areas to find the community that best suits your family’s needs. You can begin your community search on Military Town Advisor. If you’re bringing your children along on your house hunting trip, then you can easily integrate some inexpensive family friendly activities to make the trip a little more appealing and enjoyable for the whole family! 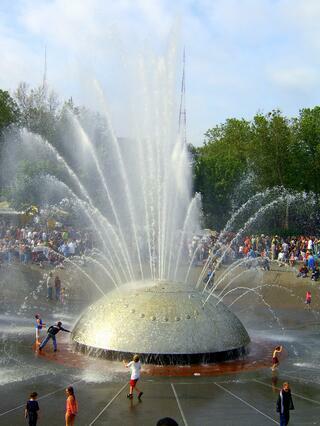 Below you’ll find some activities for downtown Seattle as well as for those venturing further outside of the city. Once you’ve parked downtown, take the monorail to the Space Needle and EMP Museum area. The monorail offers a greater glimpse of Seattle, and children will love the opportunity to see the monorail enter the sci-fi-looking EMP Museum. The monorail offers a great military discount for active duty. The monorail is free for the very young. One tip: if traveling with small children, make your way to the back of the monorail to avoid the crowded push to the front; you’ll still get great views. Just outside the end station for the monorail (it takes about 5-10 minutes), you’ll find the International Fountain Mall, an outdoor spray park that offers children relief from the sun. Also in this area is the pop culture and sci-fi EMP Museum, which will open a quite extravagant looking playground for children later this summer. When you return on the monorail, make your way toward the water. For someone who despises crowds, I am surprised to say that even I would recommend a trip to the busy Pike Place Market in downtown Seattle. I wouldn’t go so far as to say that I would venture into the first Starbucks, the one where seemingly everyone and their dog lined up around the block for, but the historic 107-year-old market was worth the trip. 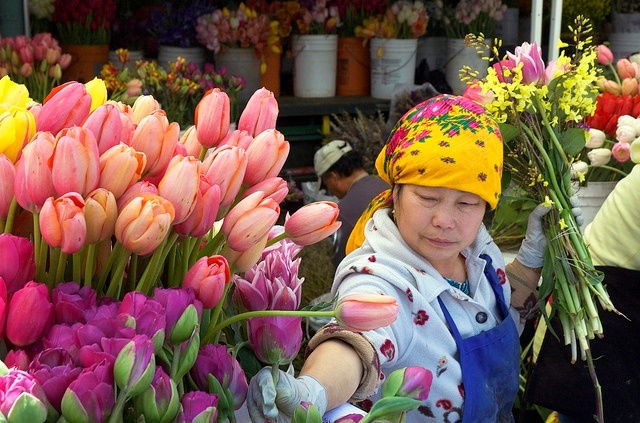 The market offers great food samplings, spectacular flower arrangements, and artisan goods. It’s challenging, but possible, to walk through with a stroller. Children (and adults) will love the variety of baked goodies on display. If you have time for family adventures outside of the city, here are a few short trips to help keep your children enthusiastic about their move to Seattle. 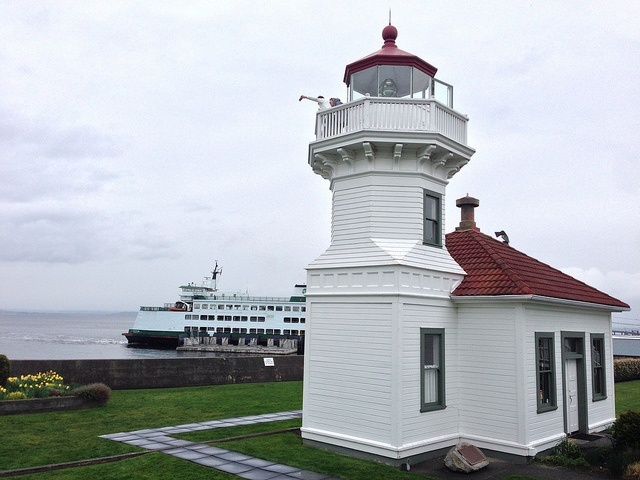 Just across from Whidbey Island lies the Mukilteo Lighthouse Park. This area offers beautiful views and a few good restaurants. Inside the restaurant adjacent to the ice cream parlor, kids can relax after a long day of house hunting with a root beer float while mom and dad enjoy a locally brewed beer float. Who knew that porter and vanilla bean ice-cream went so well together? Outside, you’ll find spectacular views of the Puget Sound, as well as an opportunity to walk along the pier and enjoy the flickering flames of fire pits. If one is available, you can claim it for your family to rest and enjoy the sunset. Requirements for firepits are on the Mukilteo Lighthouse Park website. If you thought to bring ‘smores, your kids will think you’re a genius. For something a little more unusual, check out the Outback Kangaroo Farm, about 25 minutes north of the children’s museum. The kangaroos don’t hop around too much, but children will love seeing the beautiful peacocks and the mischievous lemurs. Is your military family stationed in Seattle? What recommendations do you have for those bringing children on their house hunting trip?